Today, I have used the tentacle tips and other scraps from a recent Octopus Purchase to make a little Korean style Banchan, or side-dish. 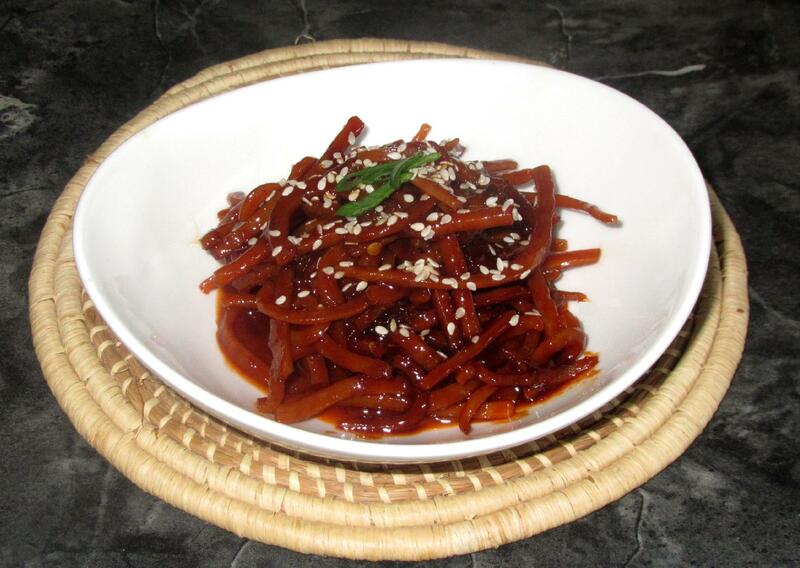 This style of Banchan involves cooking the main ingredient with the Korean Chili Paste known as Gochujang, and a sweetener, usually a syrup such corn, or rice syrup, or even honey. 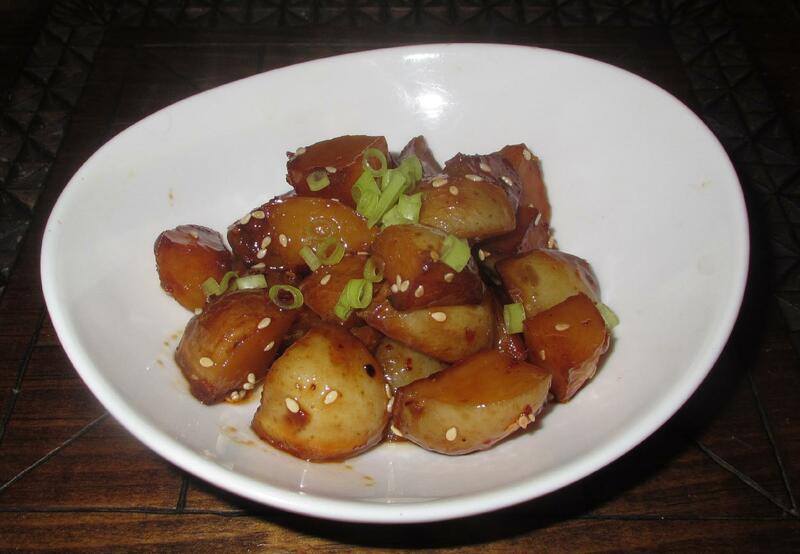 The presence of the latter allows for such dishes to keep a long time in the fridge. 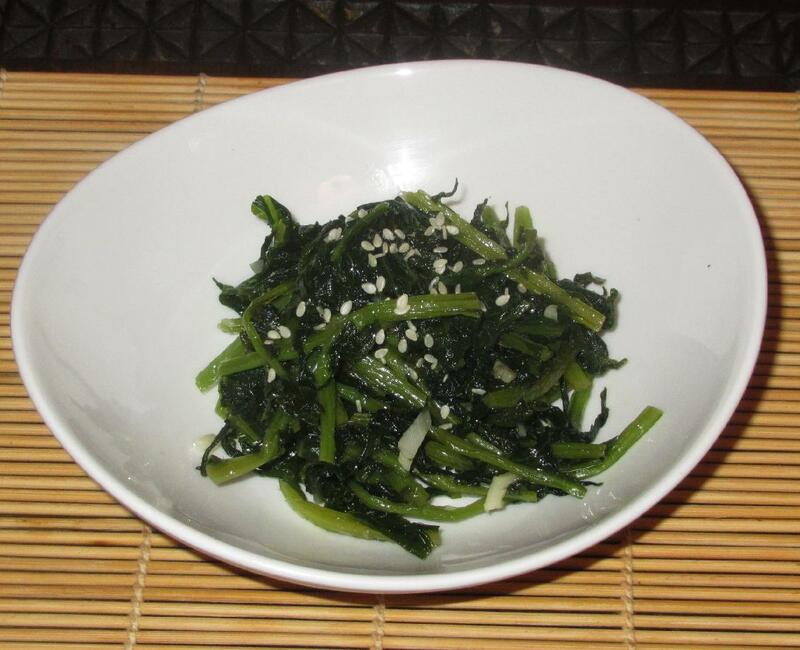 If you have eaten at a Korean restaurant you will recognize ‘Banchans’ as being the small (usually free) side dishes that accompany the main meal. Cabbage Kimchi is a standard offering but there are many others and I tend to rate a restaurant on the number and variety of selections provided.